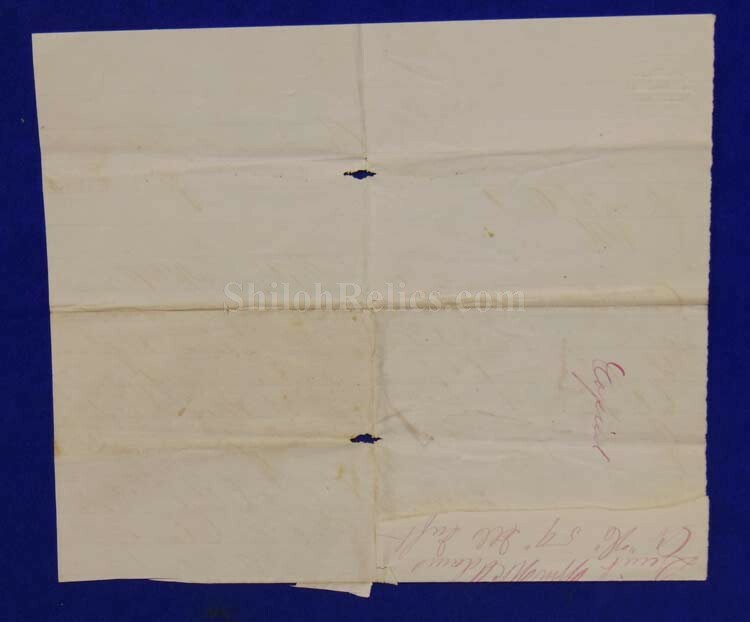 Here is a nice original Civil War document. This is a Regimental order from the 59th Illinois Infantry. It was written in Whiteside, Tennessee just outside of Chattanooga on January 2nd 1864. 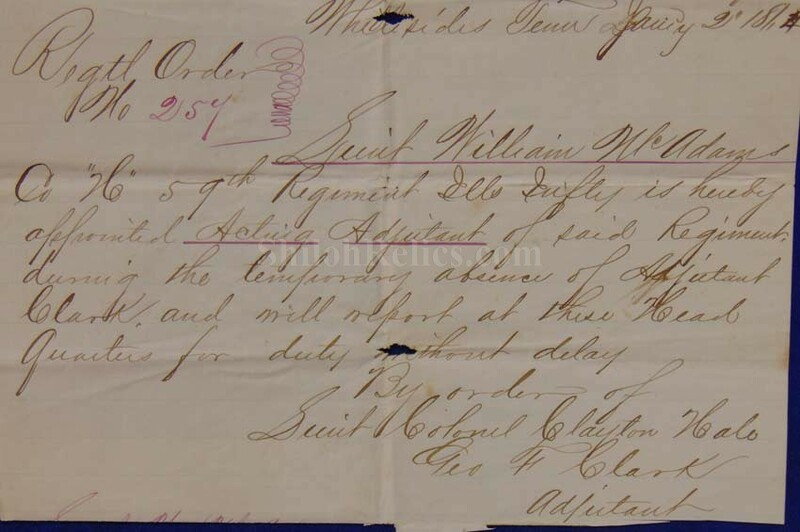 This document instructs Lt. McAdams to the positions of acting Adjutant by order of the Lt. Colonel Clayton Hale. It is nicely written in ancient brown ink on paper that measures 7-7/8ths inches by 6-5/8ths inches. 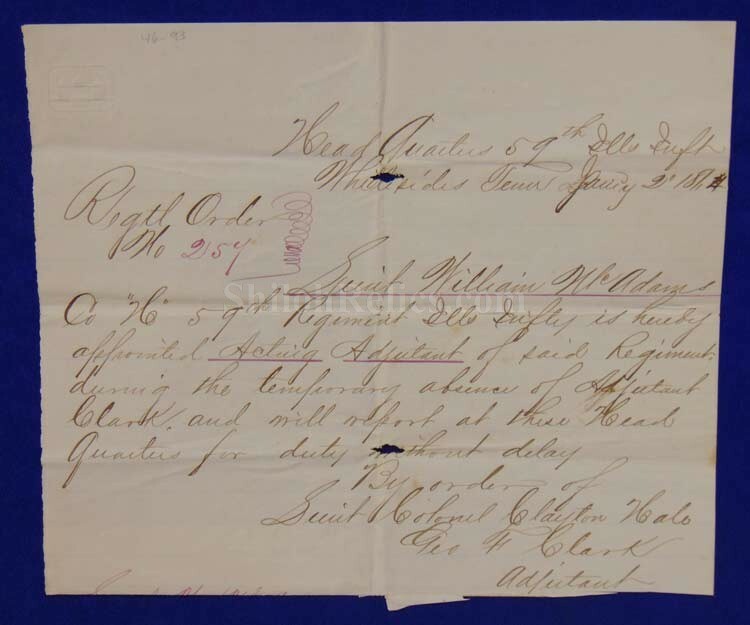 A cool and affordable document from an Illinois Regiment.